Ciputra Golf covering 125 hectares of beautifully sculpted fairways and greens, designed to be the venue for regional and international tournaments. 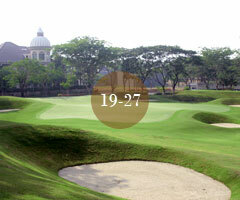 It is 27 holes, par 108 with length of 9145 meters – that will offer many unforgetable moments of achievement. The Golf Club opens 6 days a week to give more time to play. 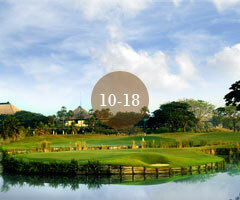 Ciputra Golf challenges each player, amateurs and professionals, to strive for excellence. Each tee box, landing area, fairway, bunker, green rough, grass, tree and bush is landscaped l a way to that compels players to think strategically for deriving the maximum enjoyment from the game. 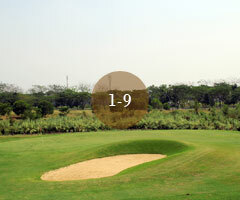 The course provides flexibility to players to set their own standards, with different tee boxes on each hole. wide fairways in the middle of beautiful valley. A strategy is required to develop the game with it boundless vision. the fairways of water. A fresh touch to a game of promptness. Your aim will be to save the ball to the other edge. with hilly fairways and undulating green.Precise will be a must to the enjoyment of any game.